If you are a professional blogger, odds are you must have something to do with the affiliate marketing. In fact more than 90% of money made through blogging comes from the affiliate marketing. The affiliate marketing is one of the easiest ways to earn millions of dollars per month. I think I gave you a start. But It's rock solid true. You can earn so much money through the affiliate marketing. But like every other profession, there are also some golden rules to follow. The affiliate marketing is actually very simple and needs nothing special: pick up a good product and review them honestly for people or shall we say would-be customers. Show clearly and explain lucidly what the product has to offer and what exactly its pros and cons are. If you are a trusted website and people believe what you say or people think that your opinion about the product is honest and you have been unbiased, they would follow your affiliate link to buy the product. And you would get a smart commission as a thank-you from the seller company. It all centers around the customer's trust on you. How much they value your opinion. It's earned by honesty and hard work. Let me say you are promoting some item which doesn't deserve any positive review, you know about the colossal cons of the product but review it positively for the sake of commission, in plain words, you are never going to succeed in the business of the affiliate marketing. The affiliate market business has been covered in detail in several other articles. Here, this article is about how to make the affiliate links most SEO friendly. Google and most other search engines are thought not to approve of affiliate links. Even the ‘nofollow' attribute doesn't work and there is something more that needs to be done. In the past, Google launched many complex search algorithms, which adversely affected the websites which were using the affiliate links profusely. It created a kind of fear about the affiliate marketing among bloggers. Bloggers were afraid that the use of affiliate links might have a damaging effect on their website and most importantly harm their Google ranking. I am not sure about whether Google disapproves of those affiliate links which have a nofollow tag, but there is one thing for sure and that is it affects SEO. What exactly is robots.txt? Let's get to know. Type in your internet browser webcusp.com/robots.txtYou can see some lines here. These lines actually tell a search engine which directories are not to be indexed or in other words all the links in these directories are not to be indexed by a search engine. Some of these directories like wp-admin, wp-includes are real and are parts of WordPress installation, while some are virtual such as /website/, /download/ etc. Here, …../website/……. 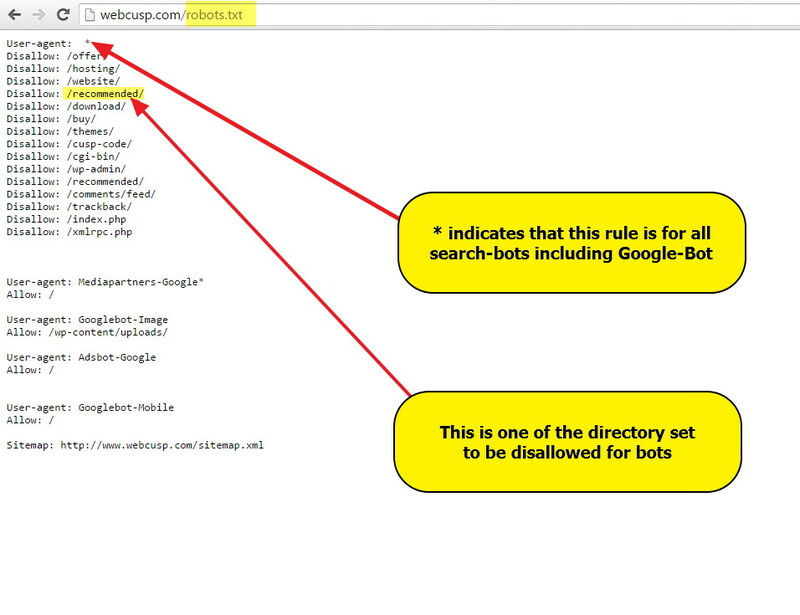 is the directory that we have marked off-limits to search engines in the file robots.txt. Any link, part of /website/ directory will not be crawled. How to create such redirect links? It's very easy. There are redirection plugins at your disposal such as Quick Redirects that can do the job for you. But the best way to get redirect links is using a plugin that has especially been designed and developed for making the affiliate links SEO friendly. On Webcusp, we use Pretty Link plugin for this purpose. Another awesome plugin, other than Pretty Link is ThirstyAffiliates. Both these plugins are available in both free and the premium versions. So let's get to know these plugins and how we put them to use. 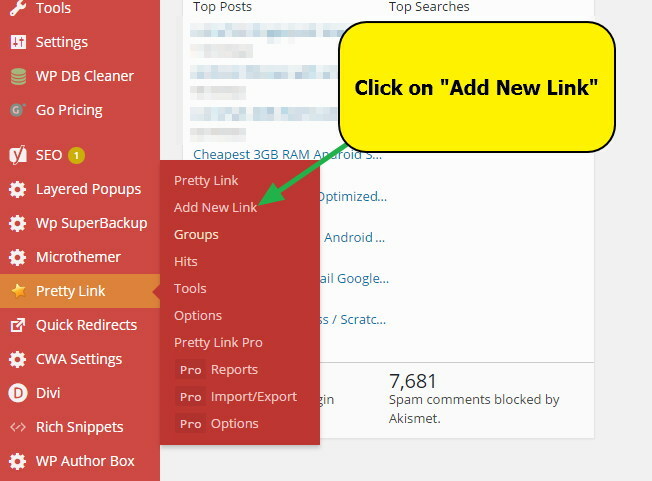 I have been using Pretty Link for many years now on my personal blogs and I would say it is a fantastic plugin and does what it promises to do. In the starting, I used its free version that can be installed from WordPress Plugin repository. With Pretty Link Lite you get to use all the essential features for link clocking. You can create any number of links and manage them all with this exceptionally useful tool. If you want to keep a record of number of clicks on a link in a day and from what locations the link was hit, don't worry. Even with the free version, there comes a feature: link tracing facility, that helps you manage the data of clicks on a link and the locations of the clicks. Webcusp.com uses Pretty Link Pro. Pretty Link Pro is the premium version of Pretty Link. It comes with wow-inspiring, advanced features like ‘double redirect'. I personally like this ‘double redirect' feature most. If enabled, the double redirect feature erases all the information regarding the referrer and thus making you an anonymous affiliate. Why is it so important, let me explain. Some affiliate programs on affiliate marketplaces like Shareshale, cj.com try to detect high payee affiliates and null their sales. If so, double redirect feature puts a spoke in their wheels. Note – I'd like to point out that before you use double redirect feature, please read carefully the terms and conditions of an affiliate program as many affiliate programs prohibit its use. Like Pretty Link, this plugin is also available in two versions: free and premium. 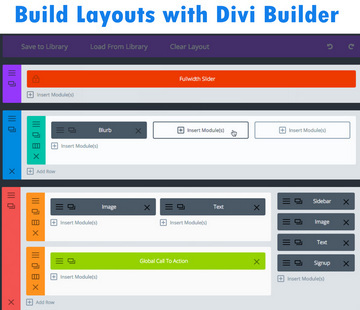 Its free version can be installed from WordPress repository. With its free version you can create affiliate redirects(301 or 302). But it's a pity that unlike Pretty Link's free version, in ThirstyAffiliates's free version, you don't have the feature to track the affiliate links. This feature has been provided in the paid version. And not just the tracking feature, with the paid version, you get a lot of other exciting features too which help increase the affiliate conversion. There is also a global-settings page where you can customize several options for all created links such as the base directory, redirection type (301, 302 or 307), nofollow and several other options too. This add-on, shall I say, is a boon to Amazon affiliates and saves a lot time of and labor. Just give it a thought how cumbersome and time-consuming it is to copy Amazon links one by one, to change them into affiliate links, then to add them to your blog post. AZON add-on adds an Amazon product search panel to TheirstyAffiliates. With this you can browse Amazon products, convert them into affiliate links automatically and create a SEO friendly URL. Moreover, you can import the image of an Amazon product directly from the dashboard. Impressed,aren't you? Yes this magical add-on, AZON, is a great friend of Amazon affiliates and takes care of a lot of things for you. I myself is an Amazon affiliate and I can tell you how sulky and grumpy I feel and how much I grudge the time that i have to put into creating and adding the links one by one. It's only a matter of time before I purchase the mighty Azon. It's also an add-on of ThirstyAffiliates, which you luckily get for free with the basic premium version of this plugin. 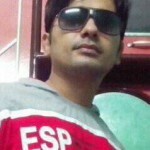 After installing this add-on, you are able to know the number of clicks on an affiliate link and the IP address of visitors who clicked the link. 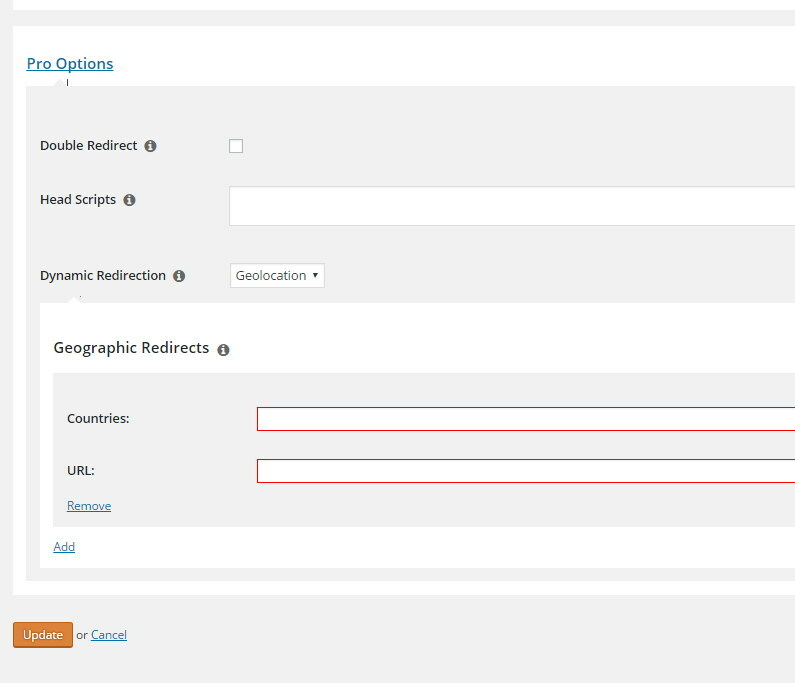 So with Geolocations add-on, you can set the multiple affiliate links according to different geographical location. It means that when a link is clicked, it opens different affiliate links in different countries. 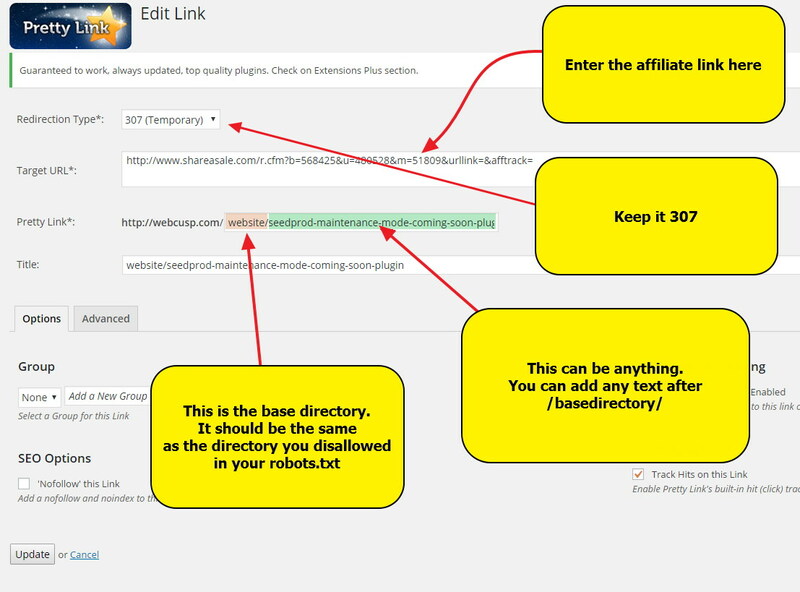 One more important thing, ThirstyAffiliates creates an affiliate link like a post. 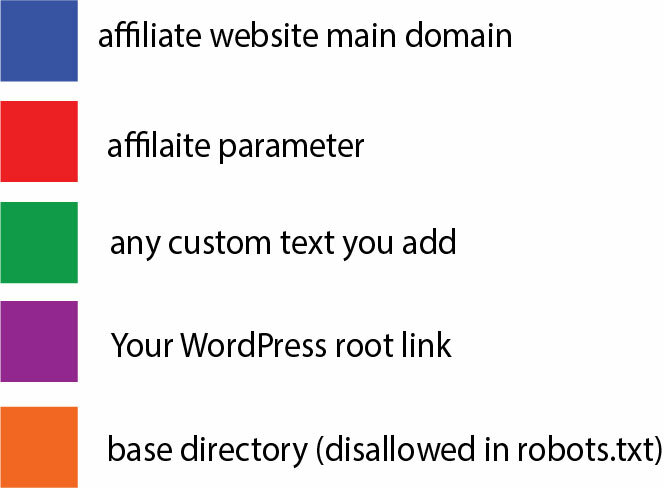 So you can import thus created affiliate links from one site to another by using WordPress importer.